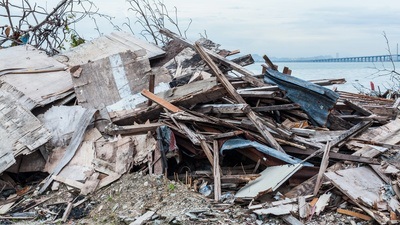 If your property has debris of any kind that needs to be hauled off and properly disposed of, you can count on professionals at All American Tractor & Tree to be there to help! All American Tractor & Tree services the Central Florida area with property debris clean-up services and can handle all jobs, big or small. 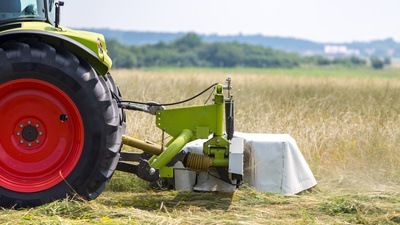 The All American Tractor & Tree team who are tasked to provide tractor service is also equipped with appropriate training and operational skills. When you hire us, we see to it that every staff working on the site is properly monitored to ensure safety. They are also guided as regards proper execution of the task. This is the reason why most of our clients trust us when it comes to projects involving tractor services. Please contact All American Tractor & Tree today by calling (352) 460-1922 or by using our online contact form to learn more about debris and job site clean-up. Does your yard have unwanted hills or dips? Is rainwater getting too close to your foundation? 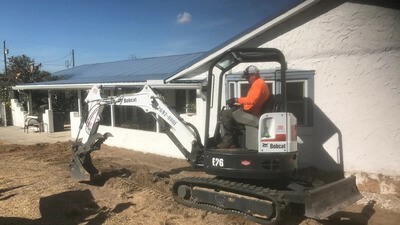 All American Tractor & Tree's Bobcat contractors can help grade and level your land for better drainage, as well as providing a flat, even surface for things like new driveways, concrete pads, outdoor sheds, and more. To prevent rainwater from getting too close to your foundation, you need All American Tractor & Tree's Bobcat contractors to come in and grade your land for optimal drainage away from the foundation. 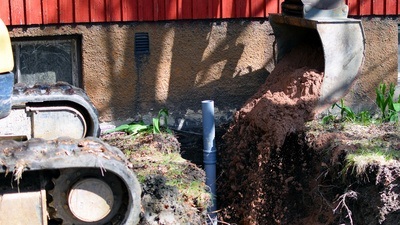 The cost to properly grade your area for proper drainage is far less costly than foundation repairs. With the continuing residential and commercial real estate development in Lake and Sumter Counties, All American Tractor & Tree is an excellent resource for the initial phase of the project where you need a contractor to go in and do some land clearing. Our loader work will remove brush, unwanted trees, and other hindrances. 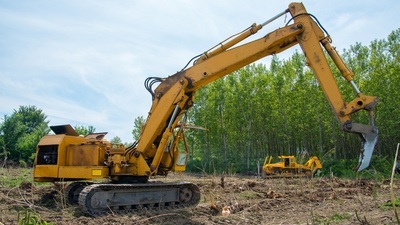 We are fast, efficient and cost-effective for your land clearing project. Please contact All American Tractor & Tree today by calling (352) 460-1922 or by using our online contact form to learn more about land clearing services. Our Florida bush hogging crew enjoy getting out there and clearing some land. Regular bush hogging is tough work, especially if you have a large, unkempt property. If you don't have all the proper bush hogging equipment, a tractor, and other tools, clearing your land of thick and wild bush, grass and vegetation is a near impossible task. If this is the case, or you need our help! There's a lot more that goes into bush hogging than hopping on a tractor, you need to for sure what you're tearing down, and cutting is safe for the surrounding landscape. 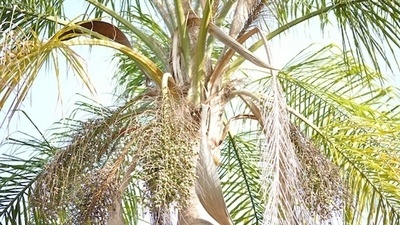 We pay close attention to detail and will make sure your property is clear of unsightly brush and other vegetation. Please contact All American Tractor & Tree today by calling (352) 460-1922 or by using our online contact form to learn more about bush hogging services. Unpredictable factors are a part of any job. Soil conditions may change, weather may not cooperate, and materials may not be ready on time. Managing your logistics can be a challenge. That's why All American Tractor & Tree offers reliable site preparation and land-clearing services. We have helped builders like you reduce risks and stick to your budget and schedule. Please contact All American Tractor & Tree today by calling (352) 460-1922 or by using our online contact form to learn more about site preparation services. When you require grading and site work services, you may not immediately be aware of the extent of your grading needs. All American Tractor & Tree can provide you with a free consultation that includes an estimate of the size and cost of your grading project. This consultation will also inform you of the estimated amount of time it will take to grade your land accordingly. 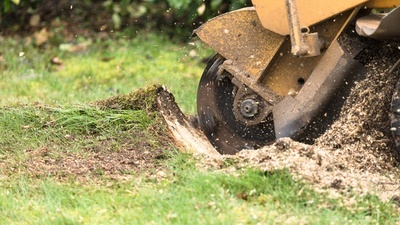 If your grading project involves small-scale drainage or landscaping work, we can normally perform the landscape grading service in just a few days or less. Driveway installations may require a week or more to finish grading the area. Due to the many aspects and possible issues may arise when grading a plot of land, it is a project that should be left to trained professionals. All American Tractor & Tree's grader contractors use heavy-duty landscaping and surveying equipment to do the job quickly and correctly while keeping your costs to a minimum. We take careful measurements and perform precision grading services to prepare your land so you can proceed with your construction plans. If you plan to build on a new plot of land, you need a grading service to make sure the land is stable to support new structures. All American Tractor & Tree can perform the required grading to measure the slope of the land, as well as make corrections to level the soil. Our professionals will also check the soil on your land to see if it is the proper type to support your building plans. Once we inspect your property, we can then remove, add, or relocate the necessary land material to prepare the area for your construction project. Please contact All American Tractor & Tree today by calling (352) 460-1922 or by using our online contact form to learn more about grading and site work services. All American Tractor & Tree has a wide variety of machinery to perform just about any job that can be thrown at us, big or small. Whether you need vegetation removed, or yard grading services, we have the right machine for the task. When it comes time to backfill, All American Tractor & Tree staff know how to get the job done efficiently. Building gravel curtains, capping driveways as well as raising the grade of yards are all just a few services we provide. Please contact All American Tractor & Tree today by calling (352) 460-1922 or by using our online contact form to learn more about backfilling services.